Have you ever wondered – how does a combi boiler work? Or even – what is a combi boiler? Our simple guide to central heating systems explains the good, the bad and the ugly of the most common types of boiler. So you can understand which is right for you and your home. What are the main types of boiler? A combi (or combination) boiler is by far the most common type of boiler. 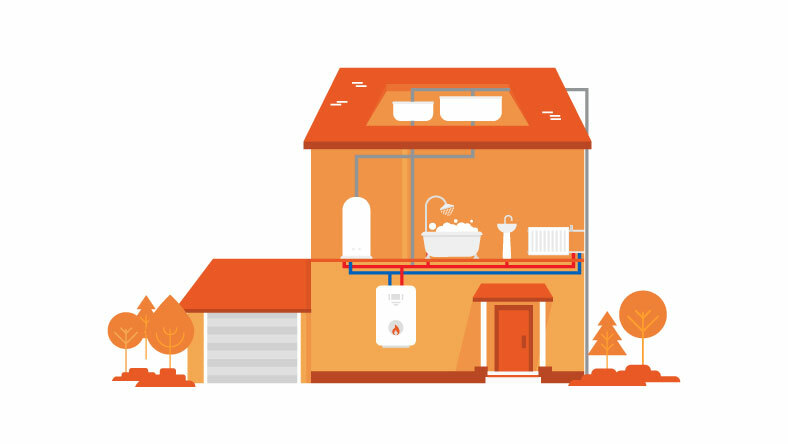 A combi boiler system's simple design requires little space in your home and supplies hot water directly to your taps or radiators without the need for a storage tank. The chief advantage of a combi boiler is its economy. Because it supplies hot water on demand, you only ever pay for what you use. So it means it's highly energy efficient and also financially efficient. 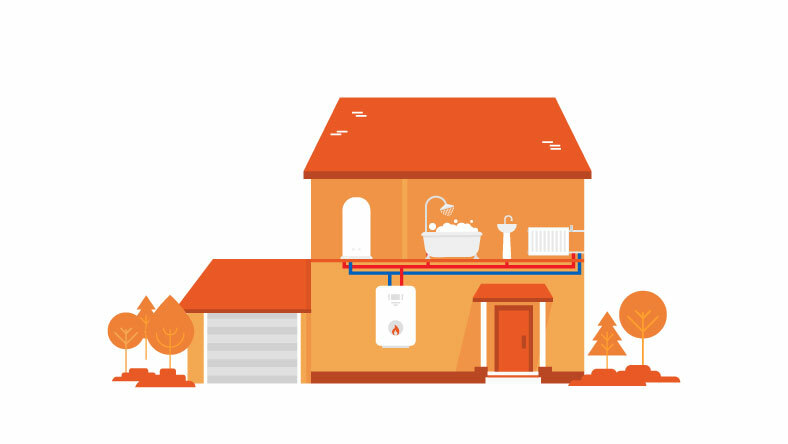 Unlike a combi, a conventional (or regular boiler) uses two water tanks – one to draw the supply from the mains and one to feed the system and manage the expansion of the heated water. Like combis, system boilers take water directly from the mains. Unlike combis though, system boilers store the water they heat in a tank. So although a system boiler uses less space than a conventional boiler system, it's more complicated than a combi and needs more room. OK so you're practically an expert on what makes your boiler tick. That's great. Now all you need to do is make sure you insure and service your boiler. You never want to be left without heat and hot water and sometimes you won't be able to fix the problem, so boiler insurance is a must. Similarly, you should get your boiler regularly serviced. This could catch any problems, before they become a problem. We've teamed up with trusted supplier Intana to offer EDF Energy customers boiler cover from only £8.69(1) per month. You can get your cover here. If you have a boiler emergency, you can call Intana 24 hours a day on 01444 442 882(2) for boiler response from £99. Full details on Boiler Response are available here. 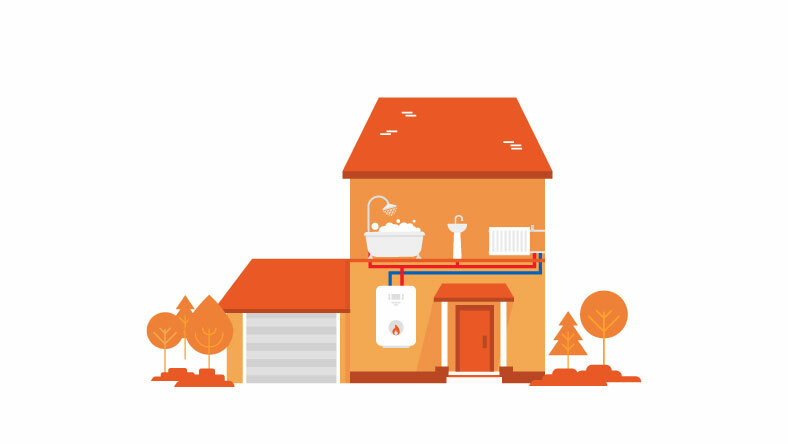 Keep your boiler running safely and smoothly with a service from as little as £80. Call 01444 442 882 or find out more here. EDF Energy Protect is sold and administered by Collinson Insurance Services Ltd trading as Intana. The policies are underwritten by Great Lakes Reinsurance (UK) PLC which is authorised by the Prudential Regulation Authority and regulated by the Financial Conduct Authority and the Prudential Regulation Authority. Financial Services Register number 202715.EDF Energy Customers Plc is an Appointed Representative of Collinson Insurance Services Limited (t/a Intana) which is authorised and regulated by the Financial Conduct Authority. Financial Services Register number 311883.This information can be checked on the Financial Services Register. Lines are open from Monday to Friday 9am to 5pm. Landlines are charged at standard rates, other network operators' charges may vary.